You'll explore the shoreline, islands, even hidden waterfalls in pristine mountain lakes by paddle board. 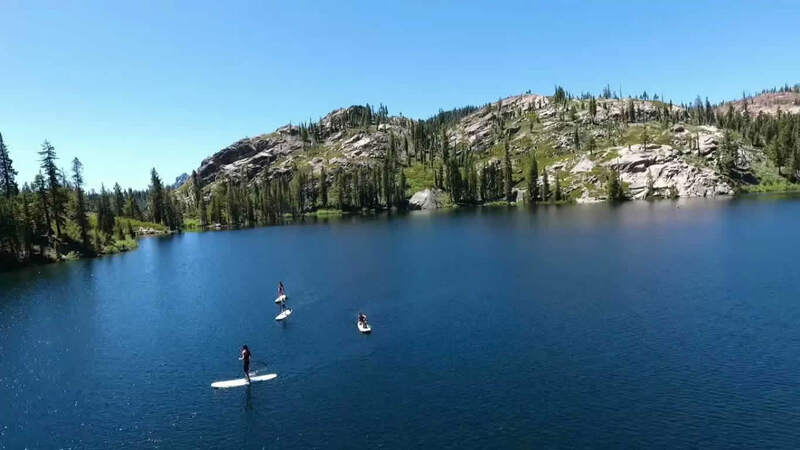 The lakes around Shaffer's High Sierra Summer Camp seem as though they were made for paddle boarding. There's Salmon Lake, where you can paddle out and around a island with a perfect rock for rock jumping. There's also Stampede Reservoir, with another island, and what seems like miles of rugged shoreline to explore. And then there's Lower Sardine Lake, beautifully framed by the dramatic Sierra Buttes, where you can paddle over to a hidden waterfall. How much fun could you have on a paddle board? Read more about the lakes near Camp.